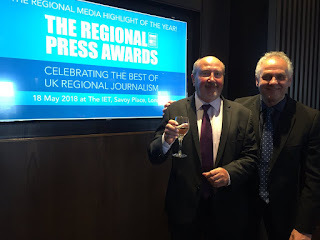 I had a lovely day at the Regional Press Awards in London yesterday. It is always one of the highlights of the year, recognising the excellent work still being carried out by regional journalists and an opportunity to catch up with (increasingly) old friends. 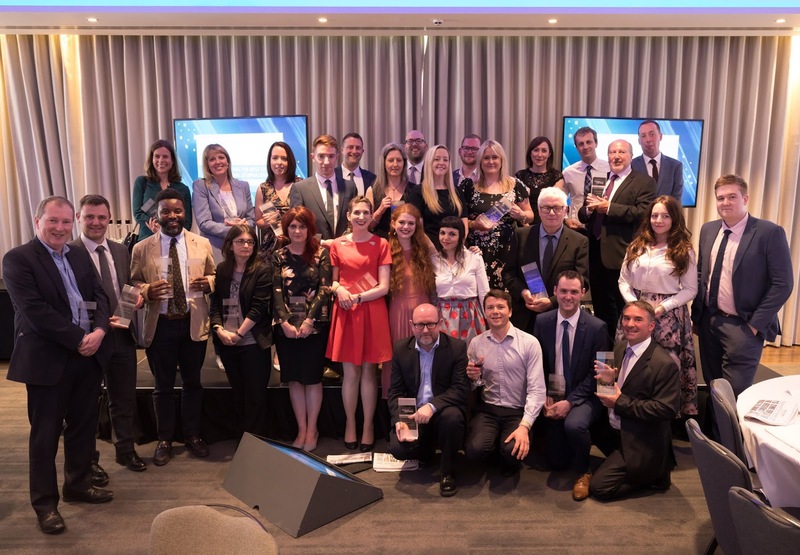 Well done to all the winners and nominees, particularly the Manchester Evening News. The paper had a remarkable year, a lot of it born out of the tragic events at the Manchester Arena. It won seven awards, including Campaign of the Year for We Stand Together. You can see all the winners here. Well done too to the Society of Editors for organising it all and to Nick Ferrari, as funny a host as ever. It was particularly special for me as I was in for a surprise. I was in France this week and my wife, Pam, told me she had messed up the return flights and we were heading back a day early. And as we were back in time we could go to the Press Awards, she said. Good idea. We caught up with old Northern Echo colleagues Peter Barron and Colin Tapping on the stunning roof terrace at the IET in Savoy Place. During the awards lunch I began making notes on the winners. 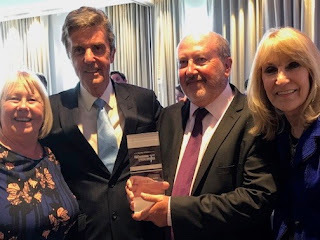 The first award was the Journalists' Charity Award which 'recognises an individual or body that has made an outstanding contribution to journalism and journalists'. Half way through the words of praise by charity chairman Jill Palmer I realised who she was talking about ... it was me. I was very flattered and somewhat astonished. The early return flight was a stitch up so that I could attend, contrived by Pam and Sue Ryan. Thanks to them both and to Cision, the award's sponsors. Afterwards I had a drink in the Wellington on The Strand with old friends and colleagues, including Tony Watson, Pete Clifton, Paul Horrocks, Neil Hodgkinson and Noel Doran. The Regional Press Awards is always a special day out ... but thanks to everyone involved for making yesterday just that little bit more special for me. Really appreciated.